So as my son and I were leaving Mars Needs Moms, which by the way is already out and it is a great movie if you have not seen it, go, we see a poster. 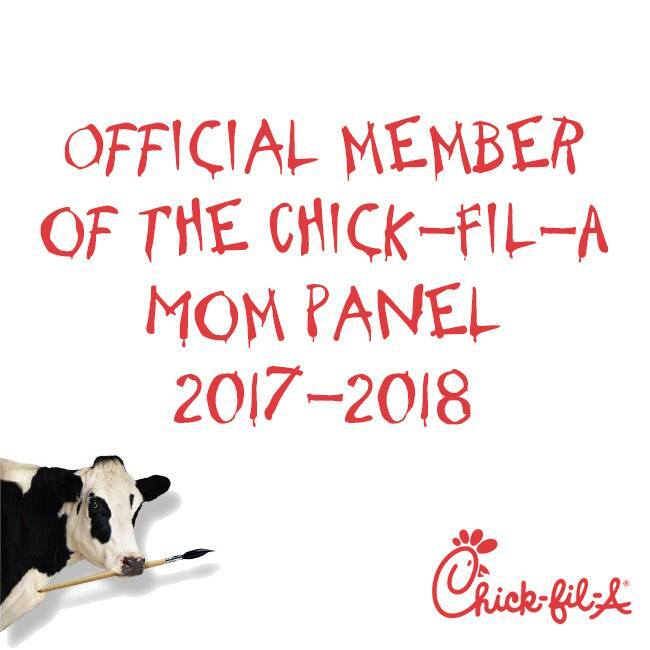 This poster below. The movie is called Rio. It caught my attention because it has the angry birds logo on it. Do you see it at the bottom of the poster? As soon as we got home, we rushed and told me husband who is an angry bird addict, that we are going to go see this movie. Another thing that caught our attention was the huge beach ball they had. We can't wait to see this movie. Check out the trailer at the bottom. 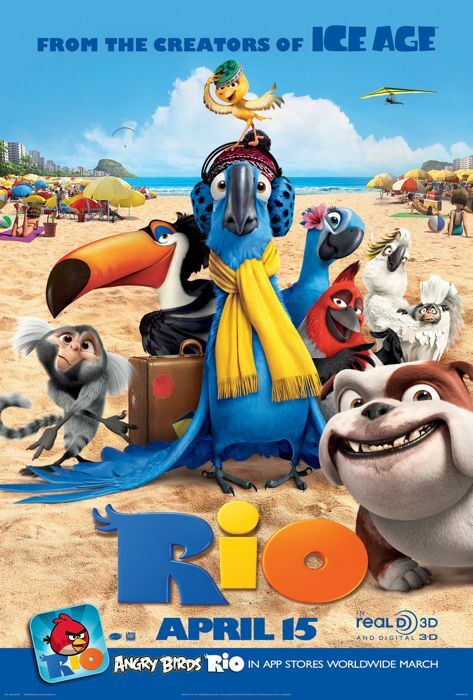 RIO: Must see movie for the entire family opening in Theatres April 15th. From the makers of the hit ICE AGE series comes RIO, directed by Carlos Saldanha, a comedy adventure about taking a walk on the wild side. Blu is a domesticated Macaw who never learned to fly, living a comfortable life with his owner and best friend Linda in the small town of Moose Lake, Minnesota. Blu and Linda think he’s the last of his kind, but when they learn about another Macaw who lives in Rio de Janeiro, they head to the faraway and exotic land to find Jewel, Blu’s female counterpart. Not long after they arrive, Blu and Jewel are kidnapped by a group of bungling animal smugglers. With the help of street smart Jewel, and a group of wise-cracking and smooth-talking city birds, Blu escapes. Now, with his new friends by his side, Blu will have to find the courage to learn to fly, thwart the kidnappers who are hot on their trail, and return to Linda, the best friend a bird ever had. NO SE PIERDAN EL ESTRENO DE RIO: 15 de ABRIL. 2011: Una pelicula para toda la familia. Del equipo detrás de “La Hera del Hielo”, llega RIO, una aventura y comedia animada en 3D. En RIO dirigida por Carlos Saldanha, Blu es un guacamayo azul que cree ser el único de su especie. Blu vive una vida muy cómoda en el pequeño pueblo Moose Lake, Minnesota, con su mejor amiga y dueña, Linda. Al conocer de otro ejemplar (Jewel, una hembra), Linda y Blu dejan su confortable hogar en Minnesota y se dirigen a un exótico y distante lugar: Río de Janeiro, Brasil. Cuando llegan a Río, Jewel y Blu son capturados por contrabandistas de animales, pero logran escapar con la ayuda de sus nuevos amigos. Ahora con el apoyo de sus nuevos amigos, Blu tendrá que enfrentar el miedo de volar, engañar a los contrabandistas y volver al lado de su mejor amiga, Linda. Con las voces estelares de Anne Hathaway, Jesse Eisenberg, Jemaine Clement, Leslie Mann, Tracy Morgan, George Lopez, will.i.am, Rodrigo Santoro, Jane Lynch, Jamie Foxx y Carlos Ponce y musica original de Sergio Mendes & will.i.am. I love angry birds! FJ and I used to play it till 3 in the morning bc we just HAD to have all three stars per stage.